MAIN STREET COLLECTIVE: starts saturday march 1st at 6pm. 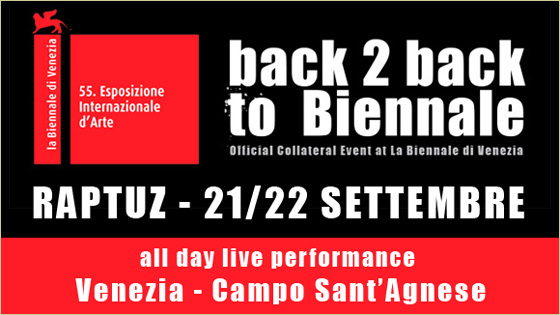 c/o Hausammann Gallery in Cortina d'Ampezzo (BL) Italy - Cocktail & Dj Set + Live performances by selected artists - special guest: SPACE ONE (from Spaghetti Funk Crew). 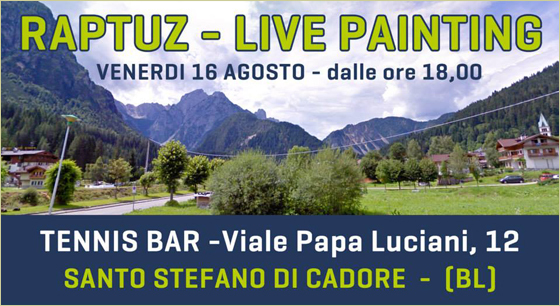 RAPTUZ Solo show at Galleria Hausammann in Cortina D'Ampezzo (BL) - Italy - grand opening: Saturday December 28th - Cocktail & Dj Set start at 6pm. 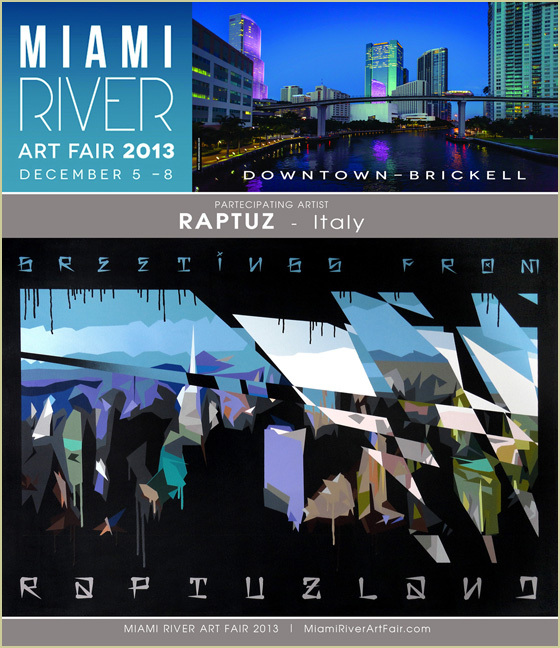 Raptuz is down to Miami River Art Fair 2013 with some of his artworks and official live performances - Event in Partnership with Nina Torres Gallery (Miami), Hausammann Gallery (Cortina D'Ampezzo - Italy), Kobrapaint USA, CBS Crew Los Angeles, and TDK Crew Milano (Italy).